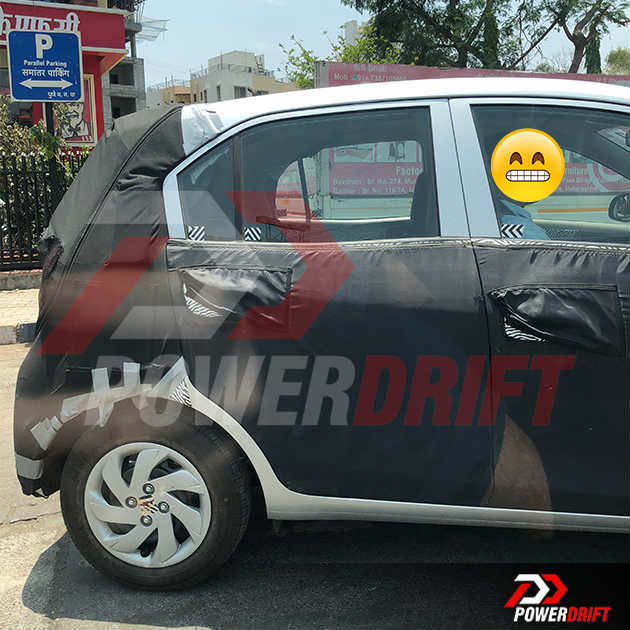 The best spy shots of the Hyundai Santro yet reveal the body proportions of the hatchback, which is slated to be placed between the Hyundai Eon and the Grand i10. 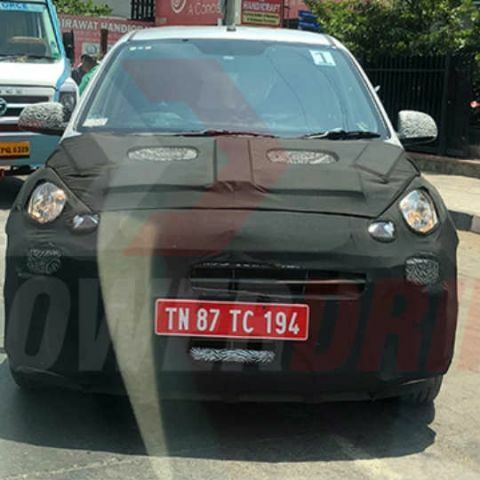 The Hyundai AH2, which has been undergoing road tests in India for quite some time now, has been spotted again. The Hyundai AH2 has long been reported to be the successor to the massively popular Santro, and reports indicate that the car will be launched in India during Diwali under the 'Santro' moniker. 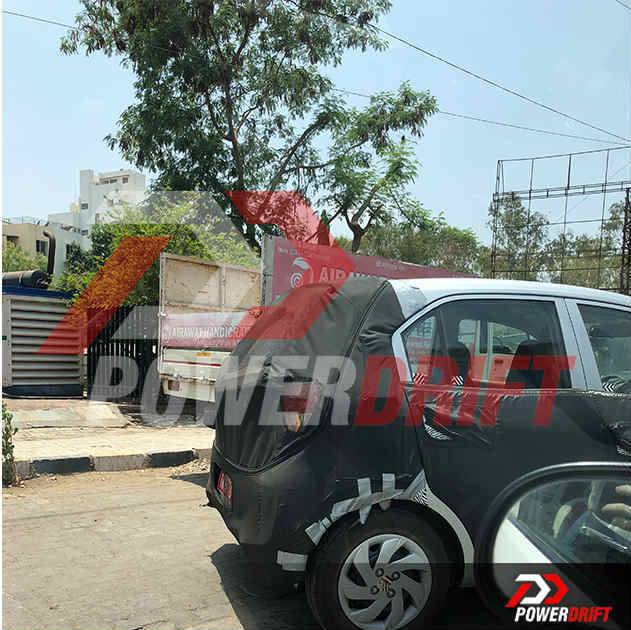 Now, PowerDrift has spotted the car undergoing road tests in Pune yet again, and with that, we now have possibly the best spy shots of the Hyundai AH2/Hyundai Santro, so far. 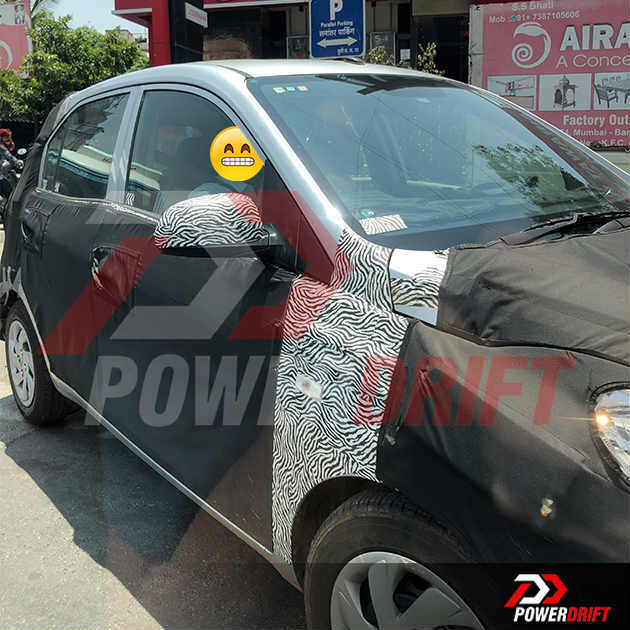 While the car still remains heavily camouflaged, the photos better reveal the body dimensions, which appear to be more compact than the Grand i10. The Santro will reportedly replace the Hyundai i10, and hence slot in between the Eon and the Grand i10, in terms of the placement of the product. The new Hyundai Santro is expected to be a significantly more premium product than the older generation one, which was discontinued back in 2015 after having established Hyundai's reputation in India and been in the market for 16 years. It is expected to get Hyundai's new Fluidic Sculpture 2.0 design language, which should include the cascading signature front grille, bolder headlamps and smoother curved lines that would somewhat mimic the Grand i10's overall design. It is also expected to get bigger windows, more spacious interiors and a better overall package in terms of features. The base trims of the upcoming Santro, as reported by us before, may run on steel wheels, but the top trims of the Santro are expected to include alloy wheels, climate control, a touchscreen infotainment system, a digital MID, two-tone interiors and more. It is also expected to run on a 1.1-litre four-cylinder iRDE2 petrol engine that will be slightly retuned from the state that powered the old Hyundai i10 in India. The company has also confirmed that it is developing an AMT transmission in house, and the AMT version will feature in the B-segment hatchback to cash in on the rising popularity of automatic cars in India. When launched, the Hyundai Santro is expected to fall in the price category of Rs. 3-5 lac, and hence, rival the likes of the Maruti Celerio, Tata Tiago and Honda Brio. Considering how popular the older generation Santro was for Hyundai, it will be interesting to see how the new generation car fares.